Steve demonstrates basic charcoal figure drawing and portrait drawing techniques required to draw the human form. This video demonstration walks the viewer through two exercises which aid in understanding some of the fundamentals in both full figure representation and portraiture. Where to begin the drawing, how line works to define form, how to measure, establishing the body core, placing the head form and limbs while always emphasizing the need to think of and feel the underlying form. The second part of the demo continues with the same emphasis on form as it applies to portraiture. The head form, shadow pattern, hair, and facial detail are all covered giving a general overview of charcoal portrait construction. 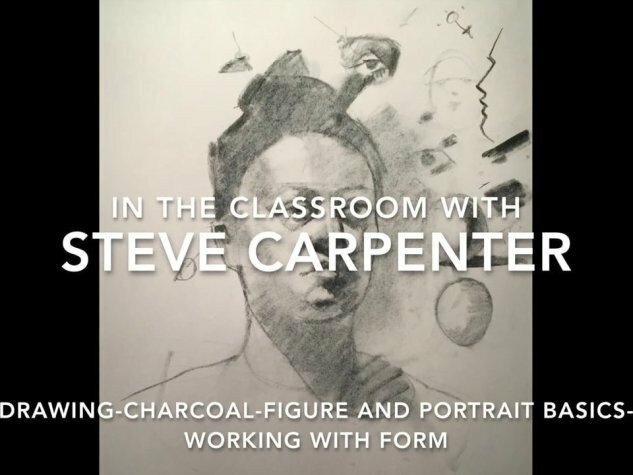 Use this charcoal drawing video instruction to complete several drawings of your own to fully feel the process of building the charcoal figure drawing.